The enterprise applications of machine learning are weaving themselves into the fabric of everyday business. Still, the concept itself is hazily understood. Over the last month we have shared posts intended to clear up the confusion between machine learning and other related topics like predictive analytics. This article continues that trend by tackling one of the least helpful misapplications: when machine learning and data science are mistaken for each other. What Falls Under the “Data Science Umbrella?” “Data scientists are kind of like the new Renaissance folks, because data science is inherently multidisciplinary.” Those words from John Foreman, MailChimp’s VP of Product Management, sum up the problem with trying to draw the boundaries of data science. It’s a vast concept, describing intent more than a specific discipline. There are, however, four fields generally agreed to cover the majority of data science where they intersect: mathematics, computer science, domain expertise, and communications. Domain knowledge: Data science is a targeted practice. It’s used to generate insights about some specific topic. 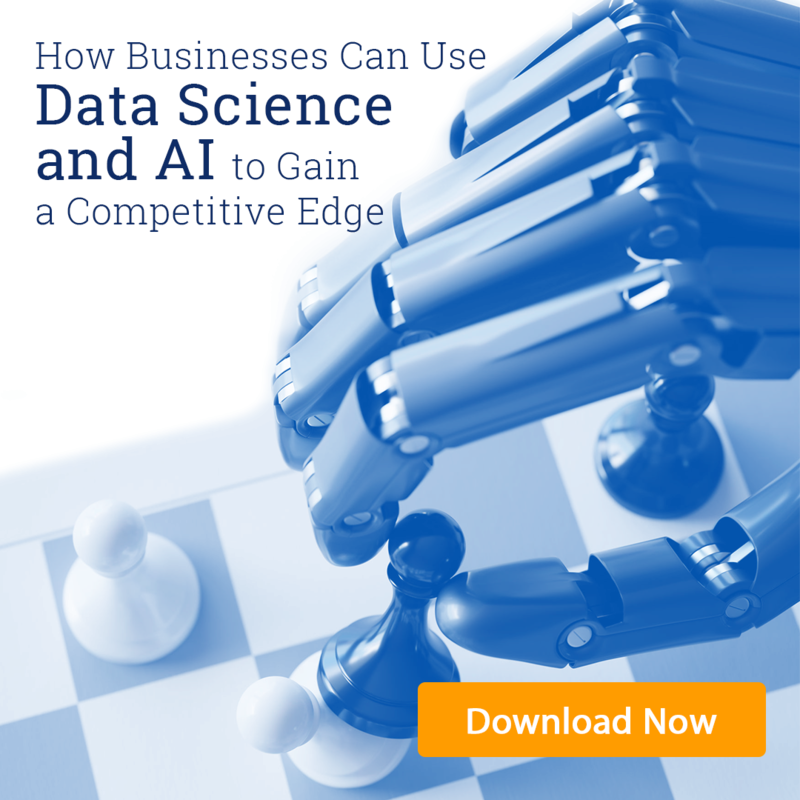 The data has to be contextualized before it can be put to use, and doing so effectively requires an in-depth knowledge of that topic.Today data science is being applied in nearly every domain. Perhaps some of the most interesting uses can be found in fields like business and health care. If separating data science into the above disciplines were easy, though, it wouldn’t be its own field. In reality each discipline is woven throughout the process with a large degree of flexibility in the combination of techniques used. Here’s a general, very broad-scope view of the data science process and the disciplines that affect each stage. This list is mainly intended to demonstrate how inextricably combined the component disciplines of data science are in practice. The data science process is never as straightforward as this; rather, it’s highly iterative. Some of these steps may be repeated many times. Depending on the results, the scientist might even return to an earlier step and start over. The reason for this overlap is that machine learning algorithms are very effective tools for sorting and classifying data. That makes machine learning popular among data scientists, but it doesn’t have the inherent direction and sense of purpose of data science as a whole. In simple terms: machine learning is a tool, data science is a field of practice. The problem can be solved using set formulas or rules. If there’s no interpretation needed and context doesn’t change the data, a mathematical model alone can handle the matter. There’s no point in spending resources on machine learning. It might lead to faster results if there’s a large amount of data, but it won’t produce “better” results. There isn’t a massive amount of data involved. This is a case where machine learning does more harm than good. Machine learning requires data, the more the better. Without a store of prepared data to train the algorithm, it can produce unreliable results. Worse, training on a small or unrepresentative sample yields biased results. When there isn’t enough relevant data on a subject to fuel machine learning, other methods of data science are better options for finding answers. But It Is a Game-changing Advantage. There’s too much data for a human expert to process. Some data is perishable. By the time a team of human analysts works through it (even using standard computing methods) it’s aged out of usefulness. Other times data is flowing into a system faster than it can be processed. Machine learning algorithms thrive on massive amounts of data. They improve by processing data, so results actually become more accurate over time. There is ambiguity in the ruleset. Machine learning has a long way to go before it can match the human potential for coping with uncertainty and inconsistency, but it’s made huge strides in drawing meaningful results from ambiguous data. Programming a specific solution isn’t practical. Sometimes the code needed to program a solution is so big that doing so would be inefficient. In these cases, machine learning can be used to streamline the analysis process. It’s definitely possible to do data science without incorporating machine learning. However, the pace of data production is growing every day. By 2020, 1.7 megabytes of data will be created every second per living person. Most of that will be unstructured data. Machine learning is the best tool for dealing with that volume and quality of data, so it’s likely to be used in data science for the foreseeable future. How well is your company taking advantage of its data? Contact Concepta to learn how we can turn your data into actionable insights! Next PostNext Data Science Vs Artificial Intelligence: Is Data Science Dependent on AI?